More space. More comfort. More to love! Indulge in one of Royal Caribbean’s luxurious suites for the ultimate at-sea experience. With additional perks such as concierge service, priority boarding and departure privileges, and dedicated entertainment seating, everything you need for a lavish voyage is at your fingertips. For an extra-special journey, select Royal Suite Class, with its exclusive experiences, deluxe amenities, and the most spacious luxury suites at sea. No matter which suite you choose, experience Royal Caribbean’s legendary personalized service, spacious accommodations, and special touches at every turn. Imagine waking up every morning, opening your balcony door, and being greeted with views of a brand-new and breathtaking part of the world. Reserve a Royal Caribbean Balcony stateroom to enjoy spectacular vistas each and every day from the comfort and privacy of your own room. We believe the best way to explore the world is by sea – and a Balcony stateroom is the perfect way to get a little bit closer to everything! As your Royal Caribbean cruise sails to some of the world’s most stunning destinations, you don’t want to miss a single moment. 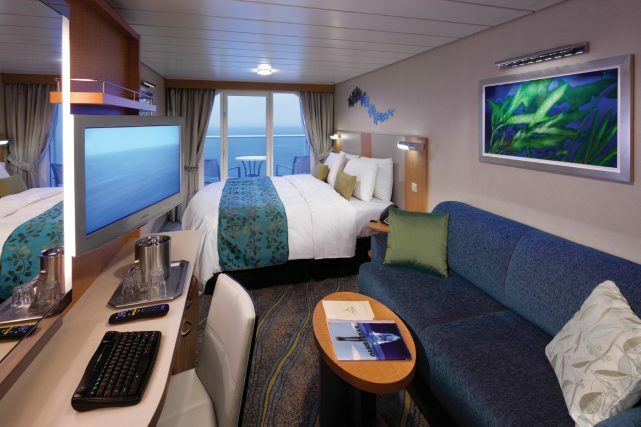 In an Ocean View stateroom, you’ll be treated to a beautiful new view every day! Spend the day exploring the world, then retreat to your comfortable, well-appointed stateroom and don’t miss a thing. After an action-packed schedule of meetings, activities, and exploring the world, you need to relax. At the end of a busy day, retreat to your Interior stateroom and unwind in comfort! 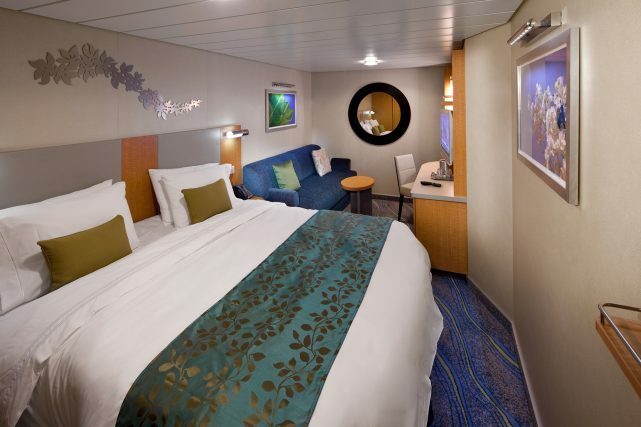 These well-appointed staterooms offer everything you need for a comfortable voyage. 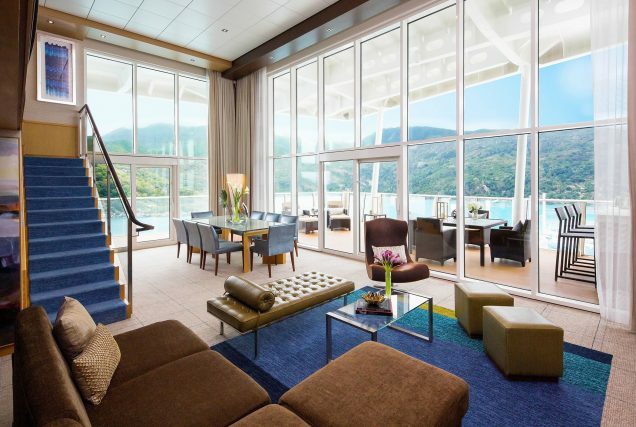 Aboard our Voyager-class ships, opt for a Promenade stateroom, offering all the features of a standard room plus a bowed window overlooking the Promenade. These amenities are available in all of our stateroom categories. *A late-night service charge applies. For the ultimate luxury experience at sea, upgrade to Royal Suite Class and wow your guests with a truly unforgettable voyage that exceeds every expectation. With unique experiences, exclusive access, and inclusive amenities – all fully customizable to your clients’ needs and preferences – Royal Suite Class delivers an unmatched, unforgettable, upscale experience for guests who deserve the very best. 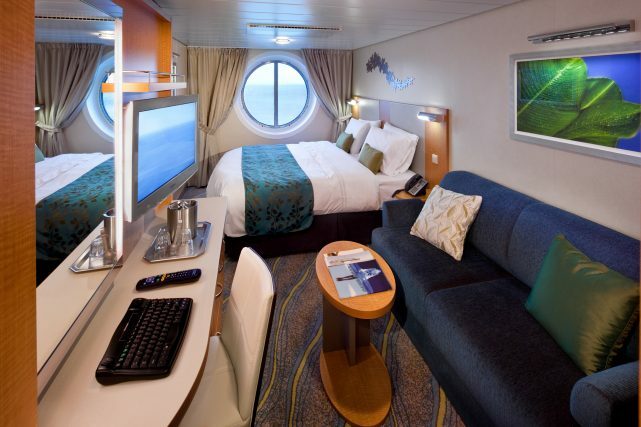 We offer three unique Royal Suite classes: Star Class, Sky Class, and Sea Class. Take a look at the benefits each Class offers.